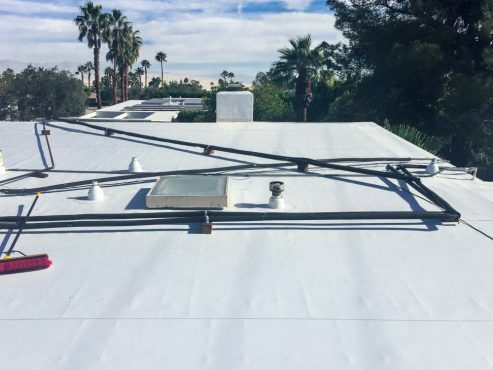 Because foam roofs are extremely sensitive and proper application is dependent upon the crew installing the system, it is critical to utilize a contractor with foam roof installation expertise. In addition to having this expertise and experience, Williams Roofing can also assist clients in exploring the potential of any government and utility based incentives available in conjunction with the application of a spray polyurethane foam roof. Spray polyurethane foam (SPF or foam) roof systems apply a seamless, monolithic application. The roof system has excellent adhesion properties and can be an outstanding choice where wind uplift is a concern. 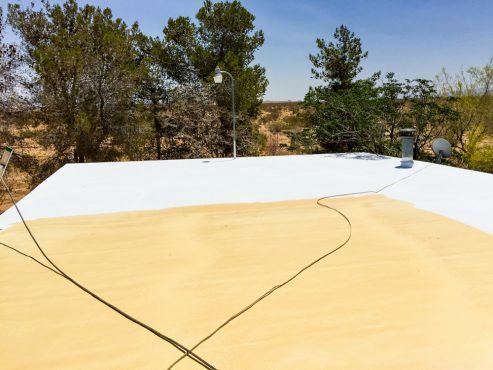 Spray polyurethane foam roofs are applied in a two-part liquid process that dries quickly to form a seamless waterproof barrier. This barrier adds insulation and can be field fabricated to provide taper and slope so the roof can drain effectively. Foam roofs provide increased insulation and reflectivity and among various other attributes are fire resistant. The installed roof is coated. The coating protects the polyisocyanurate foam from ultraviolet degradation. It can be installed with one of many products: silicone coating, urethane coating, polyurea coating or an acrylic coating. Williams Roofing can apply all of these coatings. For added protection and slip resistance, granules can be placed into the coating. 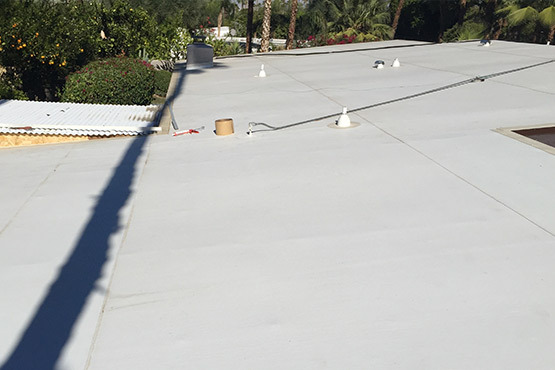 Williams Roofing can also provide a cementitious layer that used as the coating over the spray polyurethane foam roof systems for a very durable finish that performs well in high traffic areas. SPF provides a variety of finishes that meet and exceed standard UL and ASTM specifications. 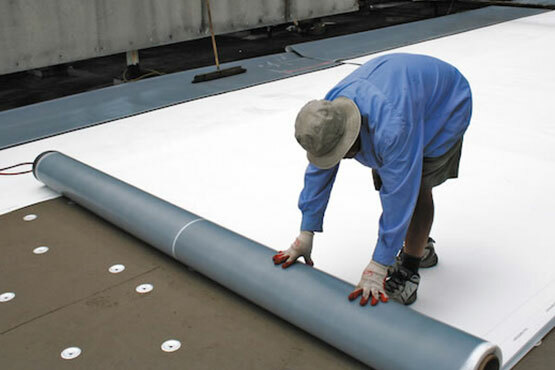 Since tear-off of the current roof is not always needed, SPF reduces costs, noise and inconvenience during installation. Steep Slope Roofing generally refers to roofing materials suitable for roofs that have slopes of 3:12 or greater. These include asphalt roll roofing, asphalt shingles, concrete and clay tiles, wood shakes, slate and metal roofs. Additionally, some of the modified bituminous roofing and certain adhered single ply membranes and SPF foam can also be used in certain steep slope roofing applications. The most common steep slope roofing types are asphalt shingles. Concrete and clay tiles are most often associated with residential construction but can also be used for steep sloped commercial roofing. 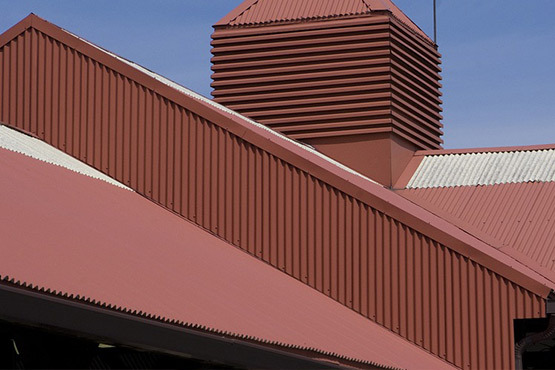 Metal roofing is used in both steep slope and low slope roofing applications. Asphalt shingles comprise the largest segment of steep slope roofing. They are composed of fibrous glass mats impregnated with asphalt. Because asphalt is easily degraded by UV exposure, a surfacing of varying colored mineral granules is embedded into the exposed side of the asphalt shingle that also imparts its finished color. 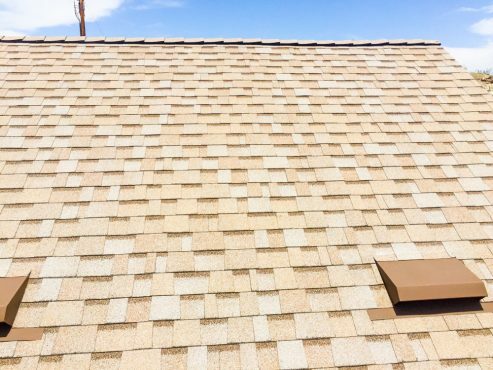 Shingles are overlapped and secured by nailing through the roof overlay of felts or roof paper into the roof deck from the bottom of the roof slope to the high point of the roof referred to as the ridge. Special ridge vents are usually installed to provide ventilation from the attic space. 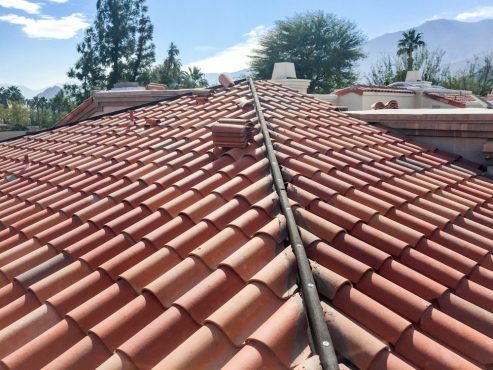 Concrete or clay tiles are installed in overlapping “shingle fashion” on steep slope roofs as well. These tiles are usually installed with a combination of nails and cementitious mortar. A growing segment of the roofing industry is metal roofing. The various types of metal roofs include metal shingles as well as long spans of metal panels. Metal panels are easily installed on steep roofs and are becoming more popular for their aesthetics and inherent fire resistance and are common in both residential and commercial construction. White is the new green! Up to 40% of a city’s impervious area is composed of roof. Thermoplastics, are the right steps towards an earth friendly facility. White materials are highly reflective of the sun’s radiant heat and may have a high thermal emittance value (a measure of how much of the absorbed radiant energy is given off into the atmosphere). Thermoplastic Polyolefin (TPO) and Poly Vinyl Chloride (PVC) are thermoplastic roof systems that are white and highly reflective roof membranes. These roofs provide excellent weathering characteristics and are highly resistant to ultraviolet light and most chemicals. The membranes have a reinforced scrim and are puncture and tear resistant. Thermoplastic roofs have outstanding seam strength due to the fact the sheets are welded together using hot air. These types of roof systems are lightweight and well suited for second generation (roof-over) applications. Williams Roofing can provide clients with a variety of thermoplastic roofing solutions. We will also assist customers in identifying state, federal and utility company rebates and incentives available for installing these energy efficient roof systems.